All our buildings are designed to comply with current building regulations. Our team is always happy to liaise with your local authority on your behalf. In many cases planning permission is not required. However, if it is necessary we can provide plans only for your submission, or a full planning service including design and application on your behalf to your relevant local authority for your total peace of mind. Typically a concrete raft is used to comply with current building regulations. Although your specification may vary depending on the local ground conditions, the site's proximity to trees etc. 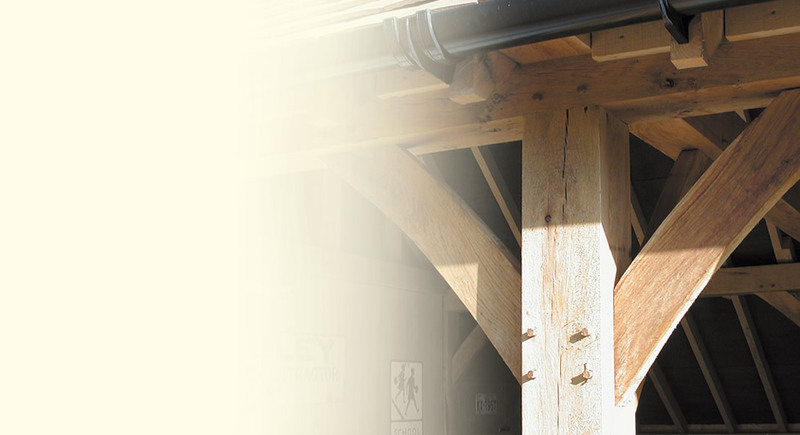 Our experience has shown that to produce the highest quality buildings, the green (unseasoned) oak mainframe is handcrafted on-site using traditional joinery techniques to ensure the exact fitting of all joints. 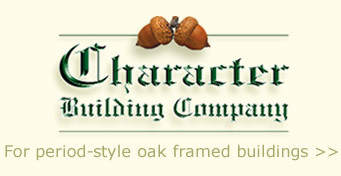 We do not pre-construct the oak frame in kit form. Infill and external weatherboard can also be of oak but more commonly is of softwood construction. All softwood used is treated against rot and infestation. Traditionally a cut roof, using oak or softwood rafters, is finished with either machine-made, hand-made or reclaimed tiles or slate to complement an existing property.